Perfect for lighter jobs, kitchens, decks, pools etc. Sturdy steel frame with screw locking socket. 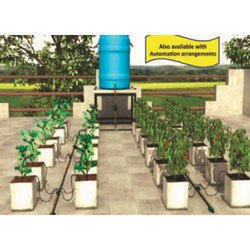 Leveraging on the latest technology, we are involved in offering unmatchable quality of Lawn Watering Sprayer. This Lawn Watering Sprayer is extensively used in various applications such as for spraying liquids. Moreover, these products are known for their effective nature. - A light sprinkling on the surface is useless - avoid sprinkler systems or sprinkler hose ends. Besides leaving the soil dry underneath, light garden watering will cause shallow roots to grow that are more susceptible to drought.